Product #26040 | SKU 21090-300-55 | 0.0 (no ratings yet) Thanks for your rating! 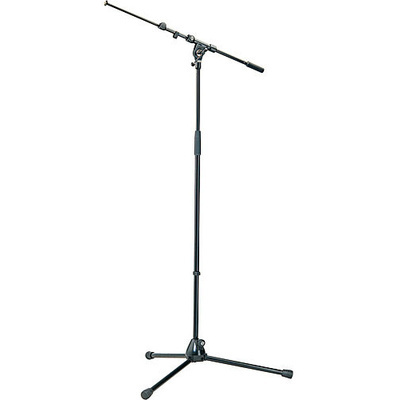 The K&M 210/9 (Black) tripod microphone stand and boom offers sturdy support for live sound and recording applications. The telescoping boom extends from 18-30" on a stand with height adjustment from 35-65". Comes with a 3/8" thread mount.